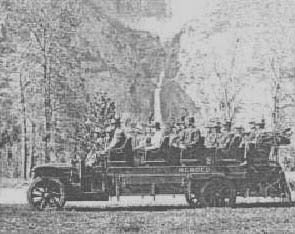 Photo: copied from a YVRR 1913 brochure. Same location just without snow. 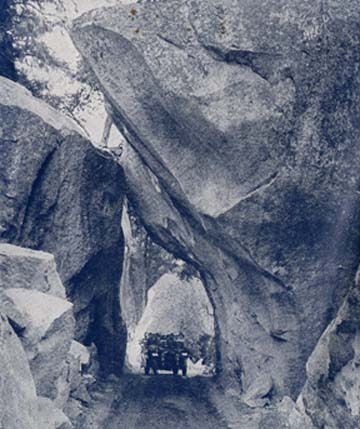 Photo: Yosemite National Park Research Library Collection. 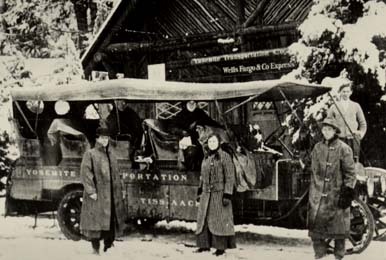 One of the Yosemite Transportation Companys White Auto-Stages in front of the YTCo. 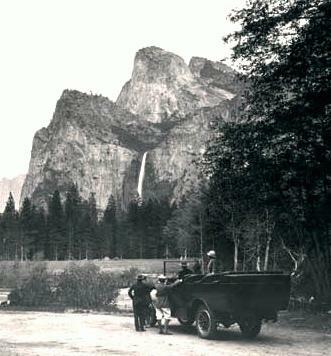 ticket office at Yosemite Valley. Photo: Merced County Courthouse Museum. 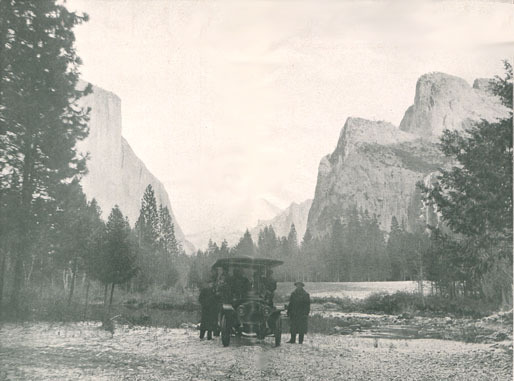 A White stage and passengers at Yosemite Falls. 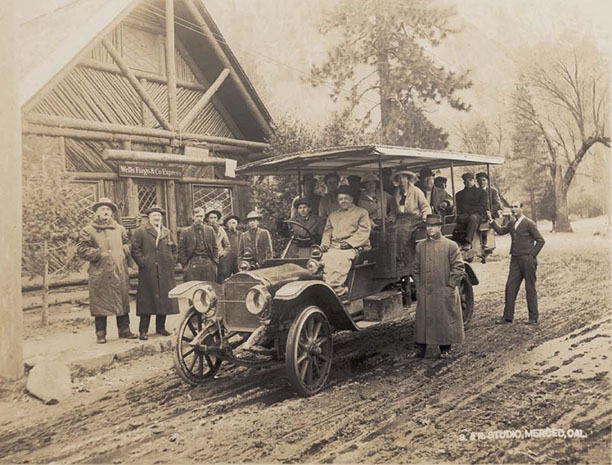 Photo: Unknown YTCo Stage with passengers pose in front of the YTCo office on chilly day in Yosemite Valley.